So this is it, the two-year long bar crawl has come to an end. Last issue I took a look at what were the best specialist pubs in Lancaster, that is the best for their specific purposes. 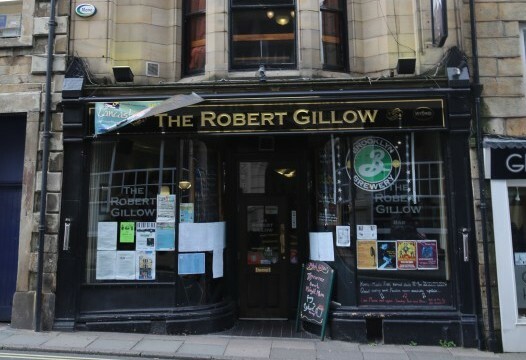 For example, The Robert Gillow may have the best drinks range, but is hardly the best pub in Lancaster ever since its refurbishment. So how can one categorically and conclusively figure out what the best pub in Lancaster is? The Yorkie may seem like a surprise feature in the top five pubs of Lancaster, but you can’t argue with this fine-grained rating system. It might not be the swishest and swankiest place to drink, but it has a decent vibe and it’s almost impossible to have a bad night there, especially for a brief stop in before Sugar. There’s a decent range of ales, though the majority are typically darker than in most places. Hobgoblin and Coniston frequent the bar often, but rarely do exotic beers craft the Yorkie’s taps. The reason it scores full for entertainment is the variety. There’s a jukebox for all of our musical desires, as well as a dirt cheap foosball table for some excitement in your life. Live bands are a regular occurrence too, so there’s more to the Yorkie than just being a convenient boozer near Sugar. The Three Mariners is a pub that I’ve never seen empty, probably down to its cosy atmosphere and friendly staff. The few seats outside lends itself well to a warm spring evening, but equally the interior just seems perfect for a chilly winter night. There’s a fairly decent range of ales on tap, recently including the deliciously drinkable River Cottage EPA, and local brewery Hawkshead’s wheat ale. In addition, compared to pubs like Merchants and The Robert Gillow which charge close to £4 for a pint, Mariners offers a fairly reasonable bang for your buck. What The Sun primarily offers is a tremendous range of beers, almost incomparable to other pubs when you consider its size. The left side of the bar houses the core range from our very own Lancaster Brewery, in addition to their seasonal “Tales from the Brewhouse” every month. Lately was The Epic, a copper and slightly fruity craft. The right side has a mixture of ales from breweries across the country, as well as plenty of drinks waiting in the cellar to be made available, so there’s also something for everyone’s tastes. Entertainment is sporadic, but good enough. There’s a somewhat expensive pub quiz on the Tuesday night, and recently they opened up a pop-up gin bar in their garden for the bank holiday weekend. Over the Lancaster Music Festival you should be certain to pop in to The Sun for some chilled folk vibes, and failing that, the music they do play in the background is pretty damn good. Think Edwyn Collins etc. I’ll start it off now by saying that the only thing letting The White Cross down is the price. It’s not the most expensive pub in Lancaster, but it’s not far off it. The main ales usually cost around £3.60 or more, however one must consider that the range is almost beyond comparison. Recently on tap has included the Jorvik Blond, which can suit you for a whole night, and Allendale’s deep red Wolf. They also have a pale ales on tap, including the phenomenal Jaipur and one of Meantime’s excellent drinks, though be warned, these are closer to £4 than the rest. So range is good and makes up for the price, so what about entertainment. There’s board games, a pool table, a pie and ale festival every spring. Plus the pub quiz. I’ve waffled on about it so many times in Let’s Go Pubbin’, but just think stylophones, curly wurlys and so many prizes. There’s no better way to spend a Tuesday night. So what’s the best pub in Lancaster? Grad Bar – the anomaly of campus, and we couldn’t be happier for it. It’s so full of charm, feeling like a proper country pub, but without the trek there (Bowland and County students excluding). If you live in Lonsdale, Cartmel or Grad, then The Herdwick’s doors will be just under a minute away. Being a campus bar, it offers the range and quality of drinks common in the best pubs in town, but at campus prices of less than £3. In addition to the ales, Grad host Erdinger on tap, as well as mead if you so desire to pretend to be from the 16th century. There’s regular live music, as well as showing the main sporting events too. Unfortunately the annual beer festival has outgrown the cosy pub, and has now moved sticks to Cartmel, but hopefully it will still be as good, if not better, at its new home. But almost everything about Grad is perfect.